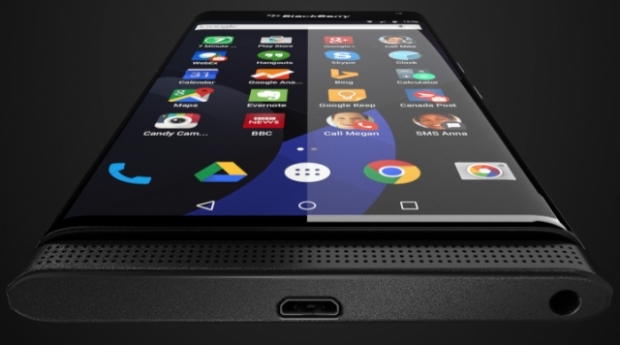 BlackBerry Venice render leaked online | BlackBerry Blast! A new render of a rumored upcoming BlackBerry Android device has hit Twitter. @evleaks posted the render on Twitter, which apparently shows a BlackBerry device, codenamed Venice, running Android Lillipop. The rumors have swirled for awhile now, that BlackBerry would release a device running Android, but no other details have emerged. Some have suggested the Android device would actually be a partnership between BlackBerry and Samsung. Either way, the device codenamed Venice is supposedly headed to AT&T. Would you use a BlackBerry Android device?